The artist Gülay Alpay is delighted to present her solo show “kiss your dream” in Venice at Scoletta di San Giovanni Battista e del SS. Sacramento in Bragora. Gülay Alpay’s signature environmental installations that are interactive, participatory, and provocative. Gülay’s work creates a platform where viewers are not merely passive spectators, but rather they are engaged participants interacting with a given space and context, infusing the event with the vitality of human communication. With spontaneity and wit, Alpay evokes a range of theoretical positions from body issues to psychoanalysis. Alpay’s work furthers a legacy of perfomative work referencing such artists as Valie Export and Marina Abramovic. 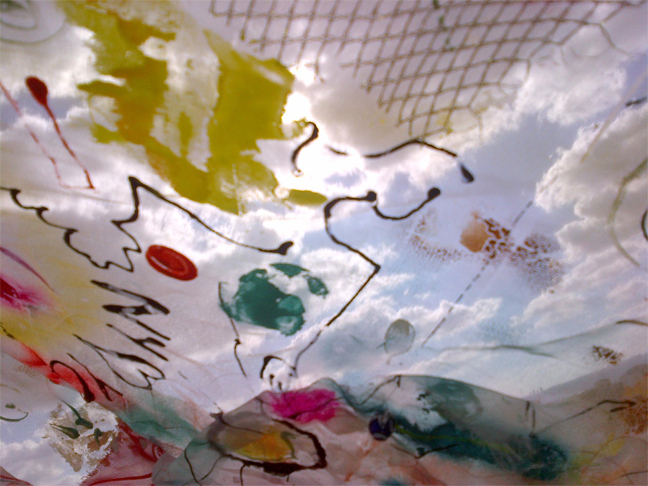 She updates this work by infusing it with contemporary post-modern theory. She effectively highlights what Nicolas Borriard calls “the contemporary artistic practice, a place that resides in the invention of relations between consciousness”. Alpay seeks an intervention that creates community closing the gap between viewer and artist. 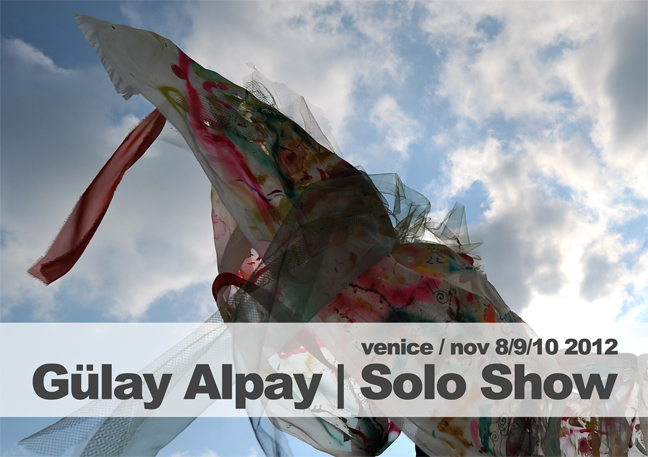 A moral and spiritual endeavor, Alpay becomes part of the audience sharing in equal authorship of the art event. Gülay Alpay lives and works in Istanbul, New York and Montreal. She graduated in the Faculty of “Painting Department-Fine Arts” at the Mimar Sinan University, Istanbul. She has already exhibited in galleries and museums in Canada, Germany, USA and London. Her work is undoubtedly a multimedial art; a sort of ironic pop-art shown with innovation and consistency. Click here to download the invitation card!